There can be a major difference in the nutrition of the vegetables you eat, depending on what form you eat them in. 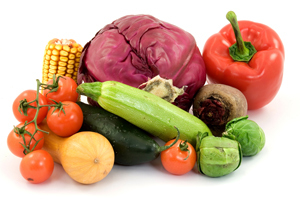 The vegetables supplying the most nutrients are generally the ones that are the freshest and least processed. The nutrients in any vegetable begin to deteriorate as soon as it is harvested, including those all-important cancer-fighting antioxidants. The sooner a vegetable is eaten after it is picked, the more nutrients it has. Having a home garden is ideal, as you can simply walk out your door, pick what you need and plop it straight into the cooking pot or salad bowl. Of course, not everyone has the space or time for a garden, so what is the next best thing? If you have a nearby farmers market, the veggies from there are usually grown locally and are generally fresher than what you can get at the supermarket. Barring that, the next best choice is, surprisingly, frozen vegetables. What many people do not realize is frozen food can often be more nutritious for you than fresh, especially if the fresh variety has been transported over a long distance. If you are living in Calgary and are eating fresh peas grown in California, those peas have endured a number of days in a truck before arriving at your market. Also, any sugars in the vegetable begin to convert to starch from the moment they are picked, which is why freshly picked corn straight from the farm is so much sweeter than the kind that has been sitting in the supermarket for a few days. However, frozen peas and many other vegetables are generally flash frozen on the spot where they are harvested, preserving those nutrients. Canned vegetables are generally lowest in nutrients, as so many vitamins are lost in processing under high heat. The water-soluble vitamins B and C and other nutrients are easily lost when canned or boiled. Researchers at the University of California found that between 85 and 95 percent of the vitamin C in canned peas and carrots were lost in processing. 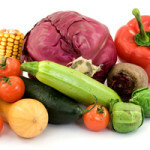 The vegetables containing fat-soluble vitamins such as A, D E and K, however, can be steamed or boiled without losing a great amount of nutrients. Raw vegetables are generally best, but if you find eating raw veggies unappealing to the point where you avoid them, it is fine to eat them lightly cooked. Better to get some healthy nutrients than none at all!